His name is Bond. James Bond. Or so he says. He has a license to kill. Whatever that means. He's on Her Majesty's secret service, and he's kind of a terrible employee, but he gets the job done, so Her Majesty just sort of goes with it. He does a lot of drinking and gambling at work. He might have a problem. He's a relic of a bygone era and a walking lawsuit waiting to happen, but don't worry, because Ian and Vincent are here to figure out how to keep the name relevant. Will they succeed? Will the use all the gadgets and return none of them in one piece? Will they deliver a blend of obvious and unworkable ideas, shaken, not stirred? Find out in this week's IP Consultants Podcast! IP, uh, finds a way, and sometimes that way comes down to changing the title slightly so it's a double entendre that might get you out of the damn park eventually. This week, Ian and Vincent marvel at the wonders of the genetically modified and cloned natural world. That's how it always starts, but then later there's running and screaming. Well, gang, it looks like we have another mystery on our hands! Warner Bros. has bought a house built on top of an old Hanna-Barbera cartoon graveyard, and now they're being haunted. Let's see who this IP really is! Turns out it's nothing paranormal, just a talking Great Dane. Those meddling kids Ian and Vincent are once again putting their noses where they don't belong, this time to map out the future of Scooby-Doo and the Mystery Gang (not to be confused with the Scooby Gang, which is a whole different IP). A series of games, a couple of movies, a topic Vincent knows basically nothing about and hasn't bothered to research. This week, Ian explains an IP to Vincent in the hopes of arriving at some idea of what should be done with it, and then Vincent spends most of two weeks procrastinating the editing, and then, at way past bedtime, tries to come up with an episode description. Put on your suit and red tie and get ready to make it look like an accident, because it's time to consult on Hitman. Or possibly sleep. We were supposed to be here last week, but our pod got knocked off course-- Sorry, wrong Kryptonian. Is it a bird? A plane, perhaps? No, this week, Ian and Vincent discuss the Last Son of Krypton, the Man of Tomorrow, the first official superhero, Superman, and whether the big blue boy scout is worthy of a clean slate after having his name dragged in the mud in front of the current generation of movie goers by the very people hired to tell his story. Can the Man of Steel be saved? This looks like a job for the IP Consultants! 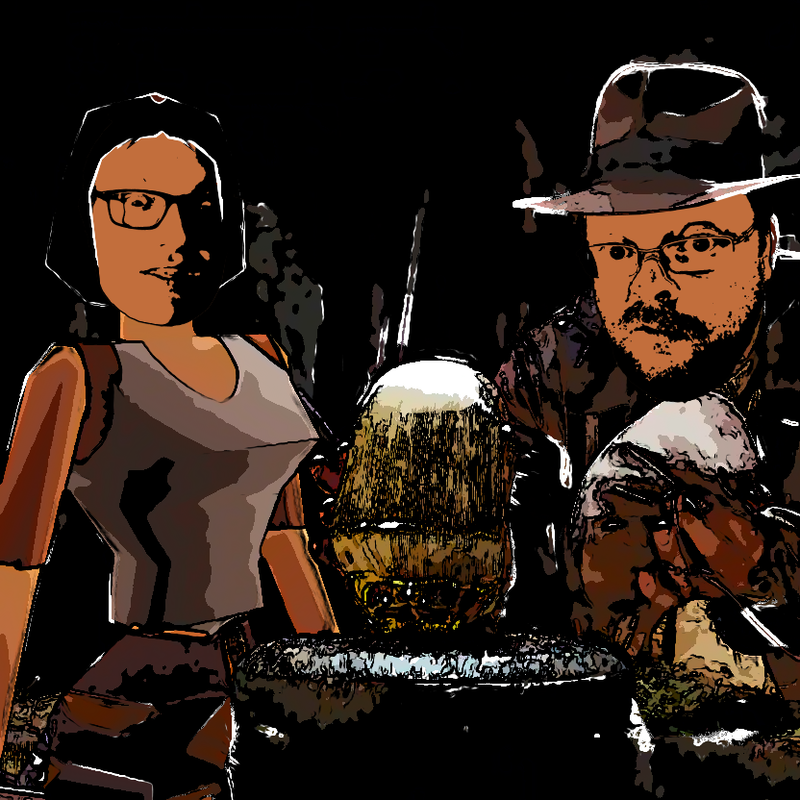 This time on IP Consultants Podcast, Vincent dusts off the ol' Swenglish accent in honor of Alicia Vikander and Ian tolerates it as they go on an honestly not very deep dive into the cavernous crypts of the Tomb Raider franchise to give some of the least qualified advice yet. You asked for it. You got it. Here it is. Indiana Jones: The Next Generation.